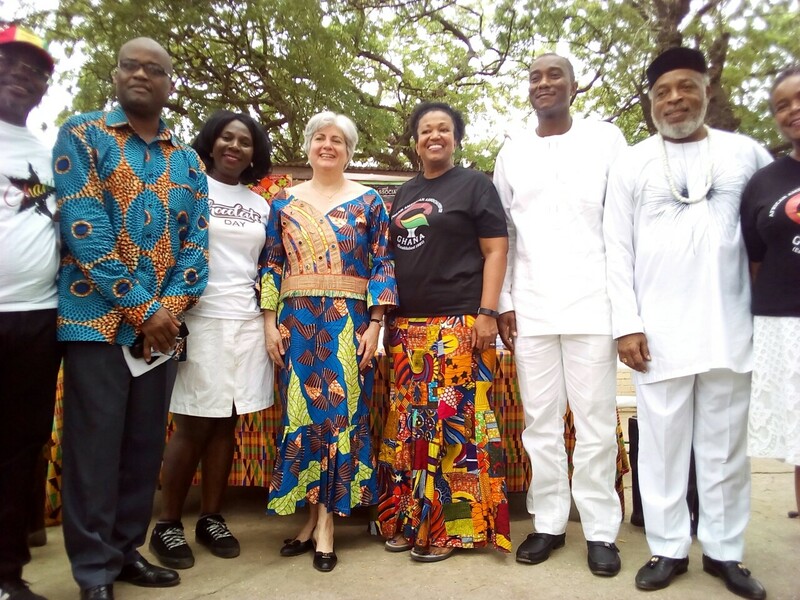 The African American Association of Ghana (AAAG) on Saturday launched this year’s Black History Month as part of the commemoration and celebration of the global African resilience in the African Diaspora. The celebration dubbed “Black Migration: Exploring Our Roots and Beyond” focused on the 400 years anniversary of the arrival of the first enslaved Africans in the United States in 1619 and the next wave of returnees to their homelands. This year has been recognised in Ghana as the “Year of Return”, and Ghana is the first African country to organise a concerted effort to commemorate the 400 years anniversary. 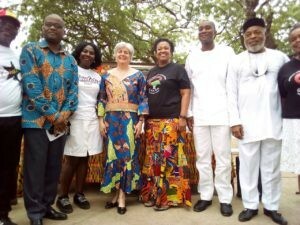 Mrs Stephanie S. Sullivan, the United States (US) Ambassador to Ghana, who launched the program said, she was proud to join the Government of Ghana and other officials to celebrate the event as it signified the bond between the two countries. Quoting a Ghanaian Proverb, she said “When you remove one broomstick it breaks, but when you put them together, they do not break” meaning, there is strength in unity. Mrs Sullivan said for nearly 30 years, the US embassy and the AAAG had close relationship which was strengthened through programs like celebrating the indispensable contributions of African Americans to US history, culture and society. She said the theme for the event placed an emphasis on President Akufo-Addo’s launch of 2019 as the “Year of Return” adding that there were profound historic ties that joined both the United States and Ghana which went beyond matters of policy. “We have a shared heritage that goes back hundreds of years, before the birth of the US and the independence of modern Ghana”. She said, in 2018, the 115th US Congress passed the “400 Years of African American History Commission Act” to develop and carry out activities throughout the US, which was to commemorate the 400th anniversary of the forced arrival of Africans to Virginia in the US even before the first English settlers boarded the mayflower to settle in Massachusetts. While these aspects of our early, shared history are difficult, we are proud of the immeasurable stronger partnership that subsequently emerged and now thrives adding that the invitation of president Akuffo-Addo had extended to African Americans and their Descendants in the diaspora for this “Year of return Embodied the spirit, she noted. The Ambassador appreciated the African American community organizing such an event and hoped that the public would have a renewed spirit to learn more about African American history and its immense contributions in shaping not only the US but Ghana and beyond. Mrs Gail Nikoi, President of AAAG said, the organization had its mission to facilitate the social, cultural, educational and economic integration of African Americans and other African descendants returning from the diaspora into Ghanaian society and its programs and activities in black history month would reflect that vision. She said, topics to be focused on would include the historical context of diaspora migration in Ghana, the experiences of the organization founding members moving into the country some fifty odd years ago, and finally the new wave recent returnees. Mrs Nikoi said, with help from the US Embassy it would host the first African American woman to earn a PhD in astrophysics from University of California and would be talking to 300 students in different regions on Science Technology, Engineering, Arts and Mathematics. Mr Akwasi Agyeman, Chief Executive Officer, Ghana Tourism Authority, said the celebration was commemorating a rich history as Ghana marked the “Year of Return” and reflecting on the connection and partnerships the Late President Nkrumah had with William Edward Du Bois, George Padmore and other diasporians. He said collaborating with AAAG and other organizations and officials was an opportunity to celebrate the Africans who despite the struggles survived and became icons in different ways. Mr Agyeman said the Tourism Authority was building a catalyst with AAAG for the relationships ahead quoting a proverb said by the Ambassador “When you remove one broomstick it breaks, but when you put them together, they do not break” meaning, there is strength in unity.